located in the Department of Computer Science at Calvin College. borg is a Beowulf-class supercomputer located in the Department of Computer Science at Calvin College. It is used for computational modeling by Calvin faculty researchers and for education/research training of Calvin's computer science students. borg is designed to facilitate six research projects, as well as research training activities at Calvin College, including our new Data Science program. The cluster will offer the flexibility to support research activities beyond the local campus, specifically at Macalester, St. Olaf, and Wheaton Colleges. By enabling new, as well as enhancing existing research and research training activities at Calvin, the cluster is expected to improve the technological capabilites of the United States cyber-workforce by equipping hundreds of students each year with domain-specific high-performance computing skills in computer science, data science, mathematics, statistics, and the sciences. borg is funded through National Science Foundation grant 1726260, with additional support provided by the Science Division and Information Technology departments at Calvin College. The principal investigator is Joel Adams, additionally with Mark Muyskens, Douglas Vander Griend, Jason VanHorn, Rebecca (Becky) Haney, Randy Pruim, and Matt Heun. borg is operated by system administrator Chris Wieringa. By Source, Fair Use, https://en.wikipedia.org/w/index.php?curid=40824254 The name borg is inspired by, and pays tribute to, Anita Borg, an American Computer Scientist, 1948-2003. She founded the Institute for Women and Technology and the Grace Hopper Celebration of Women in Computing. Borg passionately believed in working for greater representation of technical women. Her goal was to have 50% representation for women in computing by 2020. She strove for technical fields to be places where women would be equally represented at all levels of the pipeline, and where women could impact, and benefit from, technology. 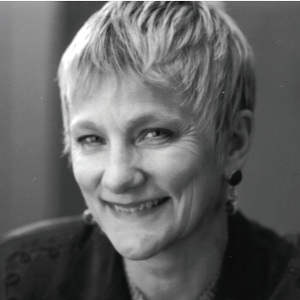 In 1994, Anita Borg and Telle Whitney founded the Grace Hopper Celebration of Women in Computing. With the initial idea of creating a conference by and for women computer scientists, Borg and Whitney met over dinner, with a blank sheet of paper, having no idea how to start a conference, and started to plan out their vision. The first Grace Hopper Celebration of Women in Computing was held in Washington, D.C., in June 1994, and brought together 500 technical women. In 1997, Borg founded the Institute for Women and Technology (now the Anita Borg Institute for Women and Technology). Two important goals behind the founding of the organization were to increase the representation of women in technical fields and to enable the creation of more technology by women. The Institute was created to be an experimental R&D organization focusing on increasing the impact of women on technology and increasing the impact of technology on the world's women. It ran a variety of programs to increase the role of technology, build the pipeline of technical women, and ensure that women's voices affected technological developments. In 2002, Telle Whitney took over as President and CEO of the Institute, and in 2003, it was renamed in honor of Borg. Since its foundation, the Anita Borg Institute for Women and Technology has increased its programs in the United States and expanded internationally, more than quadrupling in size. borg is a 24-node Beowulf cluster. It consists of a head node, a virtualization node, a GPU/hi-memory node, a file server node, and twenty compute nodes. In addition, our GPU node consists of four NVidia Titan-V graphic cards. These cards each have 12GB HBM2 video RAM, 5120 CUDA cores capable of up to 30 Teraflops for general compute, and 640 Tensor cores for up to 110 teraflops of Tensorflow deep learning capability. Calvin College's efforts in high performance computing began in 1998 when Prof. Joel Adams taught Calvin's first parallel computing course using MPI. Since that time, Calvin has built several different clusters, through NSF grants and undergraduate research projects. borg is the third Beowulf supercomputer cluster built using National Science Foundation (NSF) grants. This page is maintained by the Department of Computer Science at Calvin College. © Chris Wieringa. Design: HTML5 UP.